MarAlliance joined Belize’s conservation community in the nationwide Reef Week recently held from March 10th to 16th with the theme “Celebrating our Heritage. Protect our Future. 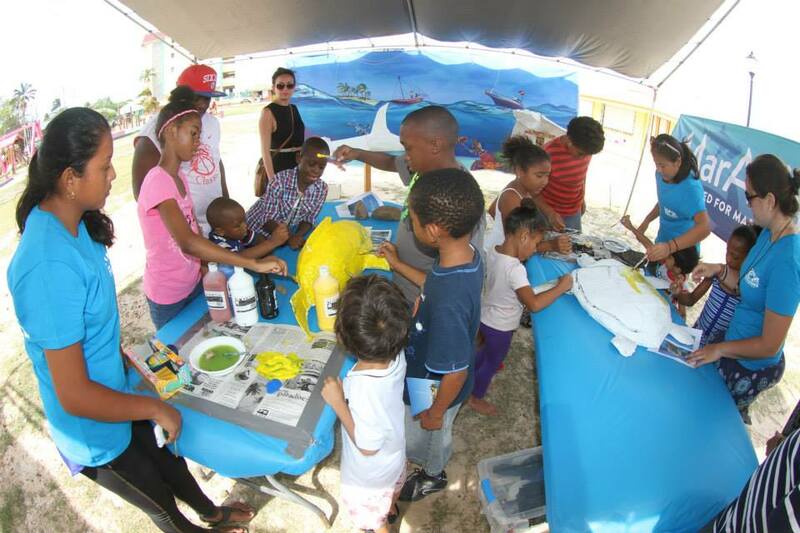 Belief in the Reef.” Numerous activities were on offer to educate children and adults alike about the importance of a healthy marine ecosystem and sustainable use of marine resources. As part of its Kids Meet Sharks initiative, MarAlliance took 40 students from several communities throughout Belize to experience working as a marine scientist on the Barrier Reef and to monitor its associated fauna. The education and outreach activities continued throughout the week as staff spoke to and met with hundreds of students through open houses, symposiums, television programs, and public fairs. Sunday March 16th’s Reef Fair provided a venue to showcase participatory marine art and science. 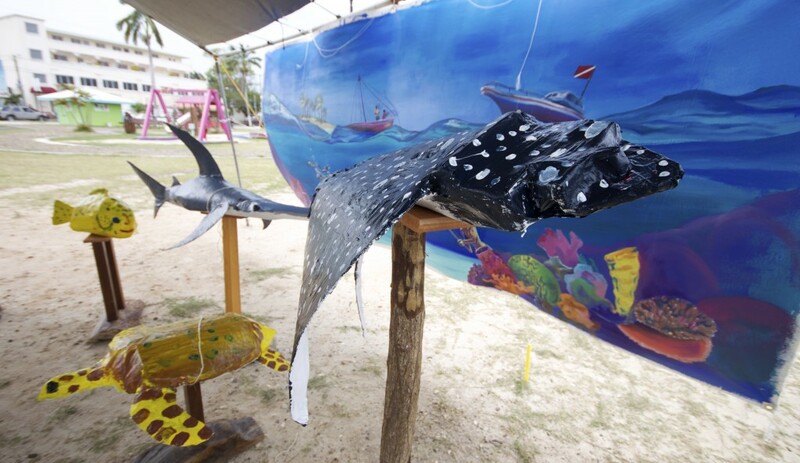 Thanks to The San Pedro Sun’s generous donation of paper, the MarAlliance team was able to develop several large-scale marine animals out of paper mache including a grouper, hawksbill sea turtle, spotted eagle ray, and great hammerhead. Visitors painted the animals and integrated them into a diorama with a sea-themed backdrop painted by the talented local artist Maria Parham. Despite the occasional wind and downpours, the event successfully showcased the work conducted by so many of Belize’s organizations that are devoted to keeping our seas healthy and productive. All set for 10th Annual Reef Week! Caye Kids Have Close Encounters of the Shark Kind!